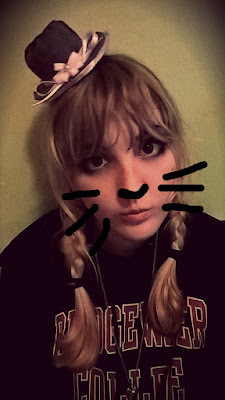 Haii lovelies! 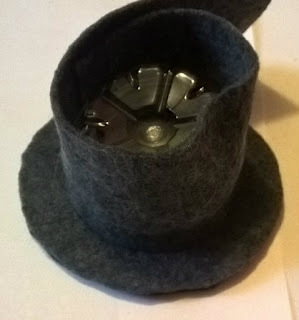 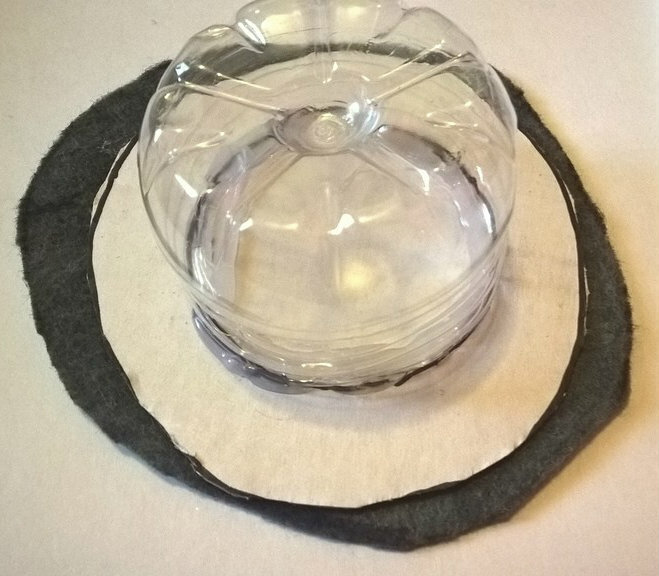 In this post, I'm gonna show you how to make a mini top hat out of a waterbottle! 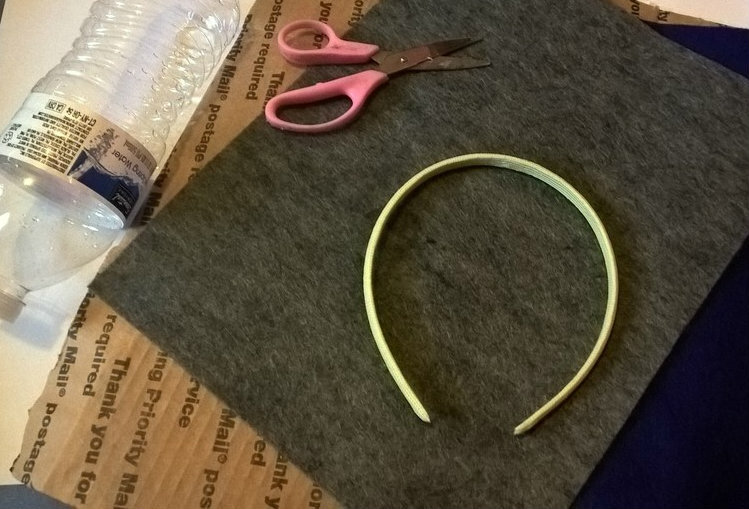 step one: cut off the bottom of a waterbottle. 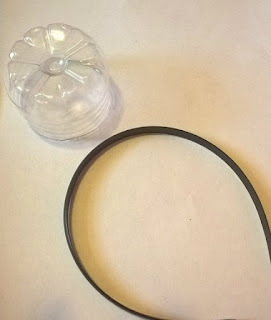 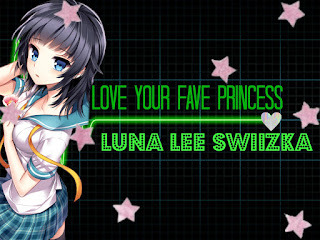 take the fabric covering off the headband. 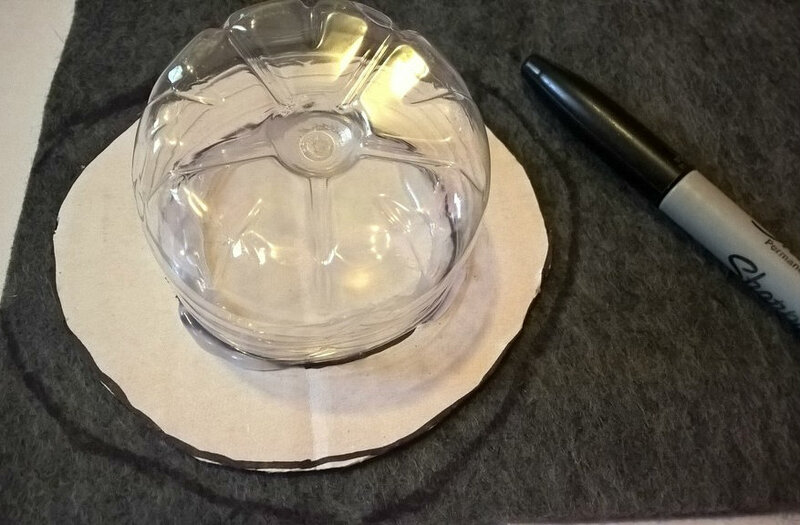 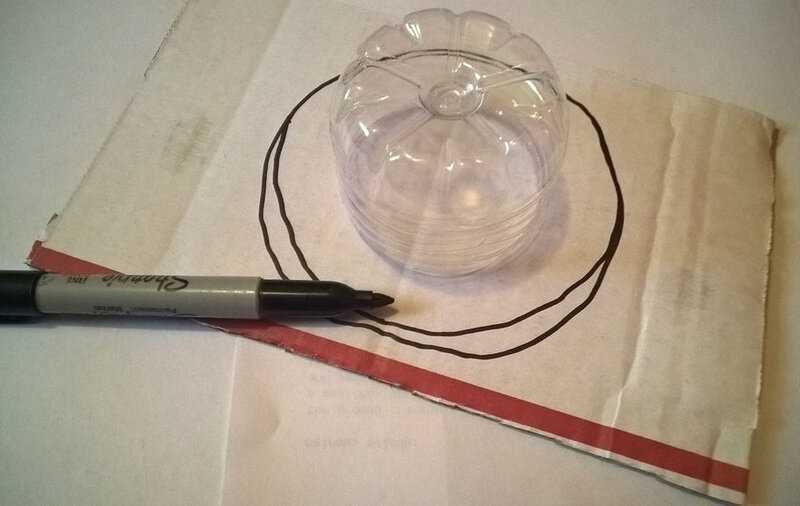 Step two: place the waterbottle bottom on cardboard and draw a circle around it, as big as you want the hat brim to be. 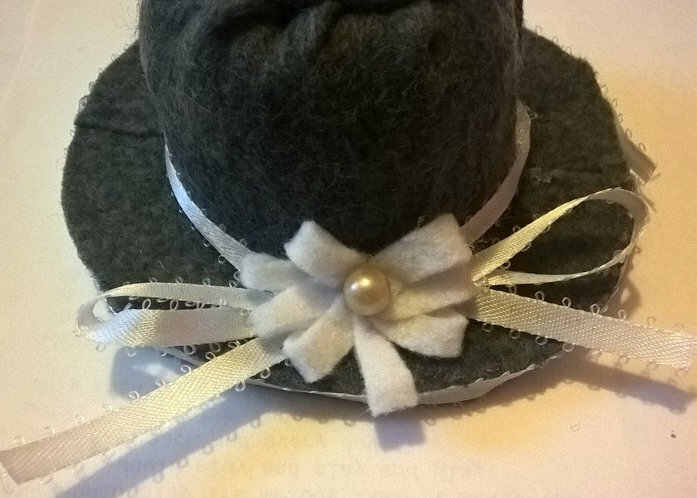 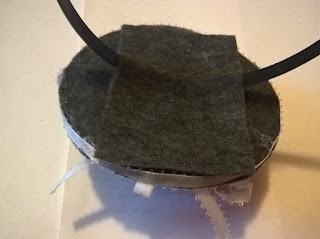 Step four: place the hat form on the felt and trace the brim circle. 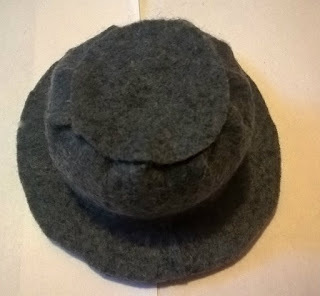 Cut two, and glue one to the bottom of the brim. After you glue it down, be sure to cut off the excess! 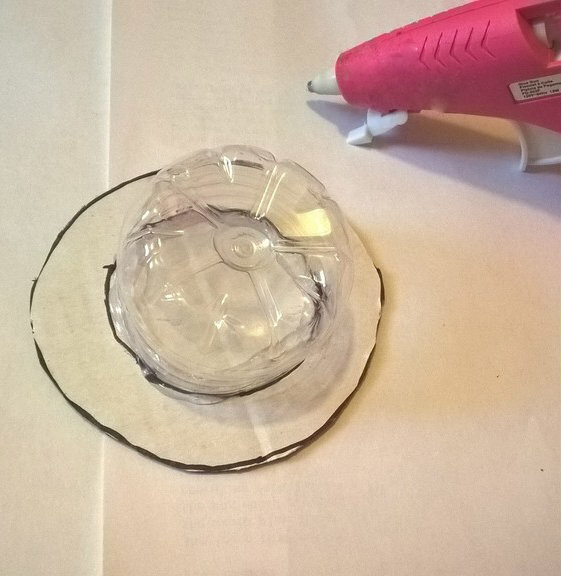 Step 5: Cut the other circle in half and then cut out semi circles of each. 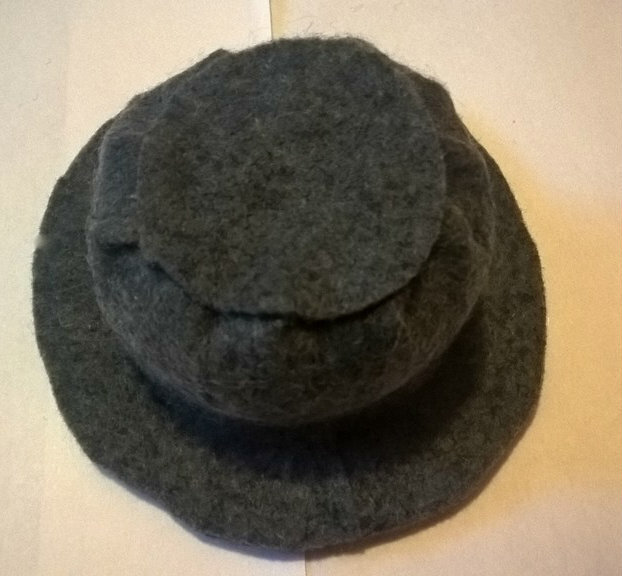 glue on the half circles to the top of the brim. 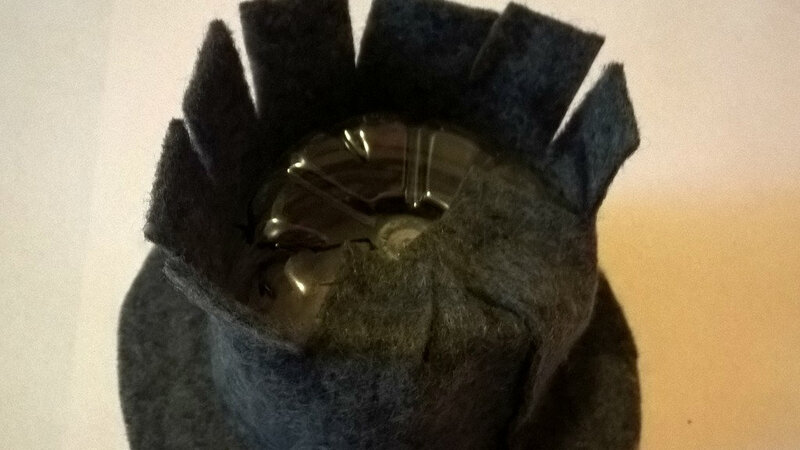 Then, cut a long rectangle of felt and hot glue it around the waterbottle peice. cut off the excess on the side but DON'T cut the excess off the top. 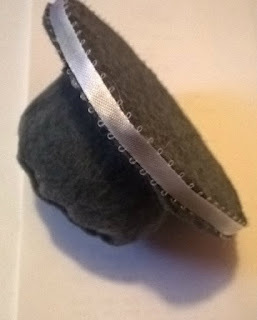 step ten: now you're done and you can wear it!